Start Your 14 Day Free Trial. Have your site live and generating leads today. Lawn Care Website & Marketing Tools for businesses that want to be hands-on with their online marketing. 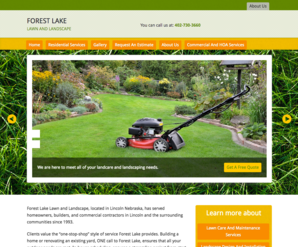 The fastest way to launch a beautiful lawn care website and get your business online. Need more that one site? We’re here to help you be successful. Try Lawn Care Sites HQ Risk Free. 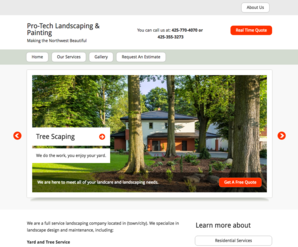 We believe Lawn Care Sites HQ is the best platform for creating the best lawn care websites available anywhere because IT’S ALL WE DO and want you to experience for yourself. That’s why we offer a money back guarantee. Here’s how it works:if you launch your site with us and are unhappy about it for any reason, send us an email within 90 days of sign up and we’ll refund your last payment. This is on top of our 14 day free trial. Your site is hosted in a world class data center using the latest cloud-computing technology. You can choose from an evergrowing selection of professional designs. All Lawn Care Sites HQ sites are creating using W3C compliant code and semantic mark-up, making them easily indexed by search engines. Every site comes with a library of content that you can easily add to your site or modify to meet your needs. We even provide sample bios and mission statements. 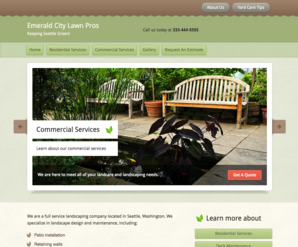 You can easily optimize your lawn care site by controlling every page’s title, heading, keyword and description tags. You can create an unlimited number of lead and information forms that help you sell. Your forms let visitors easily and quickly request information and qoutes about the services you provide. And, this information is instantly sent to you via email and text message so that you can respond immediately. If you have any questions or problems whatsoever we’re here to help. Our focus is 100% on making you successful with your website. You can easily set your agency website up at your domain, like ‘www.yourdomain.com’. If in case you need a domain, we’ve streamlined the process for you.